The emergence and acceptance of digital technologies and convergence of Information Technology (IT) and Operational Technology (OT) are rapidly changing the face of the manufacturing industry. The combination of these factors is likely to give industry leaders a competitive edge in 2018. 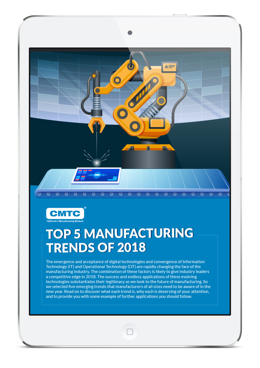 We selected five emerging trends that manufacturers of all sizes need to be aware of in the new year.